Goals of the Assignment: Students will use shape, texture and color to create a balanced composition that demonstrates space. 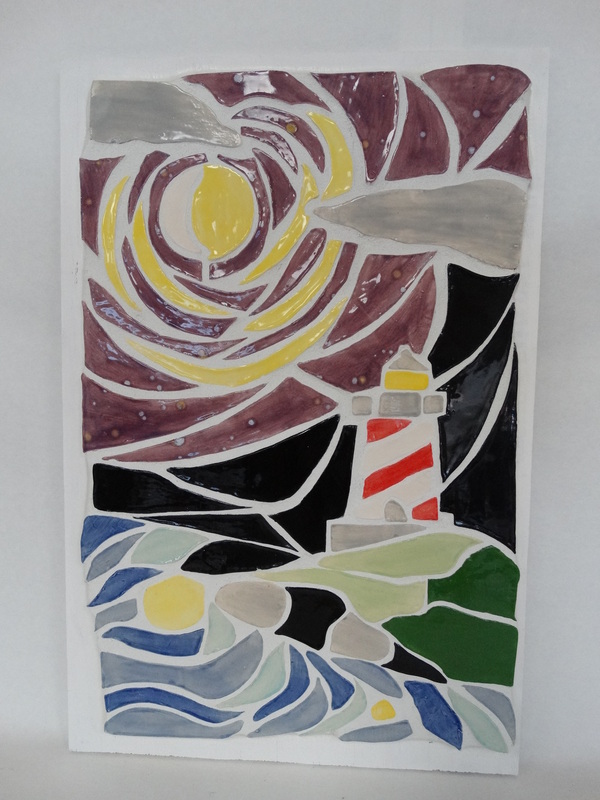 Students will create a clay custom mosaic work featuring a “landscape” as the basis for the imagery. The final design will showcase an understanding of compositional space (foreground, middle ground and background) as well as a purposeful use of shape. Students will learn slab forming and surface texture manipulation to create custom tiles to execute their custom design. Glazing finished tiles will add the element of color to the work.